Commuting east from Loudoun? To Reston?, Tysons? Want a very similar rush hour travel time as compared to Ashburn? This home is in Leesburg south area not the end of the Greenway or near route 7. If you had not considered Leesburg before because "its too far" or " Ashburn is as far out as I can go" then consider this home. At close to 15-30% less per square foot ($136) you can have: 5 minutes to the Greenway at less congested Shreve Mill Road, 11 minutes to Brambleton, 12 minutes to the new Metro ( opening in 2020). 7 minutes to the Loudoun County connector bus lots. Courtland Rural Village, Leesburg south an unspoiled rural ( protected) setting is the same commute time in many cases as compared to Ashburn when going to Reston/ Tysons in some cases its even shorter for total in the car time ( drive time in rush hour) due to its ease of getting on the Dulles Greenway. The drive home commute even avoids other congested areas like the western end of the Greenway ( exit earlier less traffic). 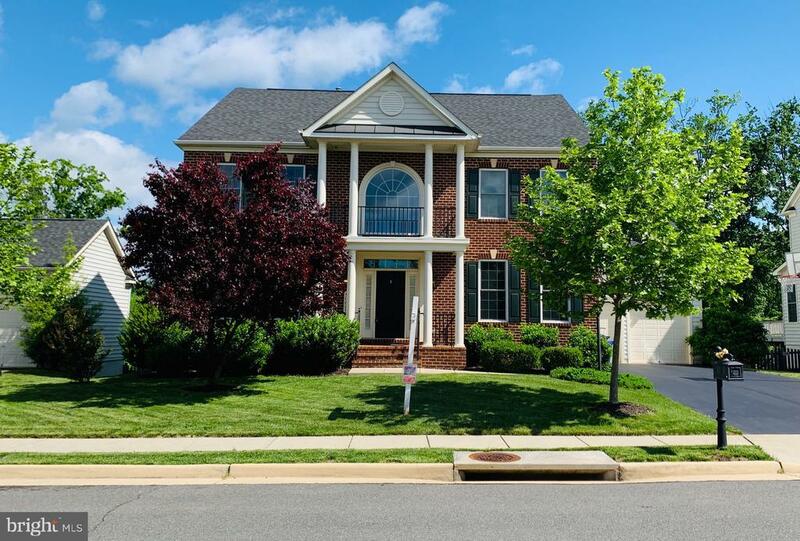 The perfect commuting location also allows for easy access schools, shopping, Dulles airport, One Loudoun.Gorgeous 4 bedroom, 4.5 bath home situated on a premium lot in Courtland Village convenient to downtown Leesburg and commuter routes, but feels like you live in the country! Attention to detail in every inch of this model like home. Wide plank engineered hardwoods throughout most of the main level. Spectacular chefs kitchen featuring stainless steel appliances, granite counter tops, a breakfast bar, custom white cabinets with contrasting island cabinetry, subway tile backsplash with under cabinet lighting and custom lighting over the island, 12 x 12 custom tile and a butlers pantry with space for a beverage fridge. The family room highlights extensive millwork, a gas fireplace, custom bookshelves and plantation shutters. The main level also features an office, with french doors, and a large living and dining room. Waterfall staircase to upper level features an owners suite, with 3 closets and large sitting room. One bedroom is en suite and the other 2 share a Jack & Jill bath. The upper level is complete with upper-level laundry room. The lower level is an entertainers delight complemented by Hardwood floors, A wet bar/kitchenette, a media room with 110-inch projection screen and in-wall speakers, work out area, a game room and a bonus den/au pair suite with full bath. Even with all the finished areas, there is ample unfinished storage space. Surround sound throughout. 4 Closets with California Closet Systems. This home is a perfect 10! Directions: From Evergreen Mills Road heading west, take a left on Woods Road, left on Understory, right on to Banshee Drive, 40621 is on your left - Welcome Home!